GB Systems sheet metal fabrication shop provides high quality HVAC stock and custom components. 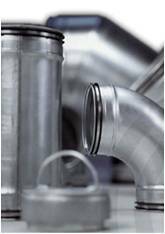 Our skilled union craftsman and design team efficiently produce standard and custom duct, fittings, flashing, parts, and complex sheet metal pieces. 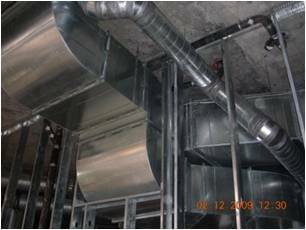 Examples of our fabrication team capabilities include high pressure main duct, specialty material exhaust systems, lined duct, low profile custom supply and return systems, equipment curbs, and stainless steel flashing.